In 2013 I was preparing to become an Ordained Reverend. It was a challenging season of my life. I was a new wife, after being an independent single mother for 18 years of one son. My husband and I had just founded a non-profit outreach ministry, I had 3 (now 4) grandchildren, I was working a full-time 9-5 job for a school system, and I was a caregiver for my sick grandmother. There was no rest! I was always going, doing, being yet never feeling fulfilled or satisfied in any of it. I was actively involved in all those things yet, I wasn’t gratified in any of it. I knew there was more that God was calling me to do (apart from all those things). Something was stirring inside of me, a seed had been planted but I somehow couldn’t find the time to give birth to it. Mainly, I think, because I felt “guilty” about focusing on what I wanted because everyone else “needed” me and I didn’t want to be selfish. During that time between 2013 and 2015, as I was preparing for my ordination, I wrote a 30-day devotional as part of my ordination project. It’s interesting because all my life I’ve always loved to write. I would buy journals and jot down my thoughts. But something was different about these writings. While they were personal, I also felt that God wanted me to share them with the world. Was God telling me to write a book? Now, on top of everything else I was doing, was I supposed to be an author? Really God? I wondered how could I find the time, since I was already overwhelmed and exhausted. But God kept reminding me to trust Him and He would give me rest. I didn’t understand how I was supposed to “rest” AND write a book. I wanted to experience that deeper relationship with God all while trusting Him to birth this book. 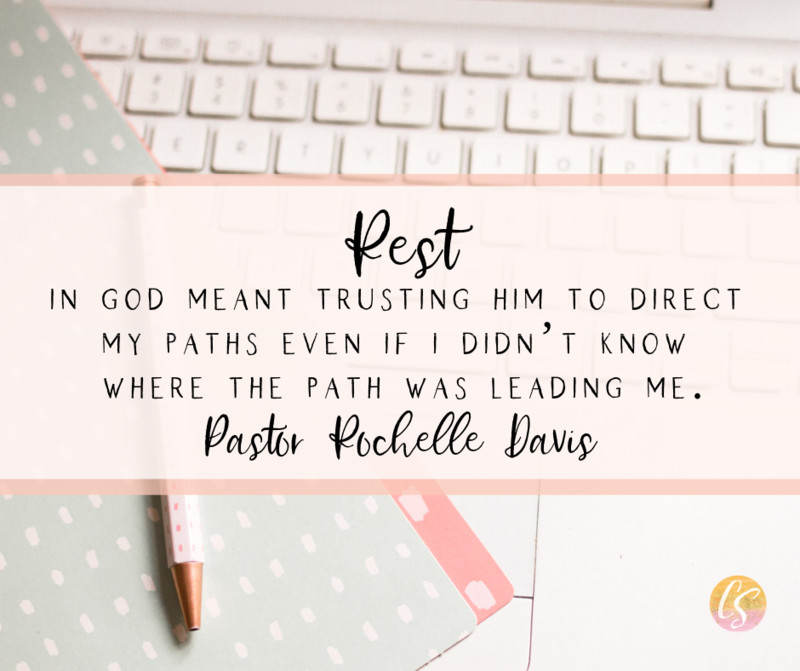 So, I accepted His invitation to “REST” in Him, which for me just meant TRUSTING Him to direct my paths even if I didn’t know where the path was leading me. Because of learning how to HUSTLE and REST I became a self-published author on November 25, 2018. All I can say is, “Thank God!” I still do all those things I listed above but now I do the work in front of us and trust that God will do what He wants with it to bring glory to Himself, not to myself. Pastor Rochelle Davis is native of Alexandria, VA. She is a devoted wife to Pastor John Davis, mother of two sons Destin & Shaquille, and a proud grandmother of four grandchildren. 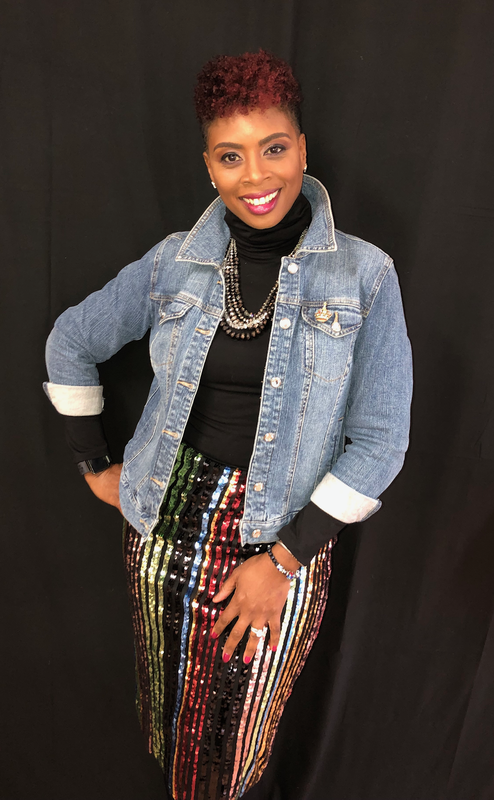 Rochelle and her husband carry the responsibility of leading the congregation of Keep It Moving Empowerment Ministries (also known as KIM Ministries). She is also a Minister with Volunteers of America Chesapeake and a Bible Teacher for the Evangelical Teaching Association. She is a self-published author and just released her first book: Other Side of Through: a 30-Day Spiritual Devotional. Pastor Rochelle you are such a blessing and inspiration to me. Thank you for sharing the gift that God has so richly bestowed on you. Keep it moving, you’re touching so many lives.